I wasn’t totally sure what I wanted to do this morning for my 9mile run. The choice was an off road run on the Braes or a steady road run. I thought about it off and on during the day but it wasn’t until I got my running gear ready last night that I decided to go for the latter. I’ve arranged an 11 mile Braes run with Steven and David tomorrow so decided an easy road run today would be good. I set myself the condition that I would run to heart rate and try and keep it around 125 beats per minute. I was up and out by 7.30am. It was raining very slightly but I decided to go without a jacket as it didn’t feel too cold and I was fine. 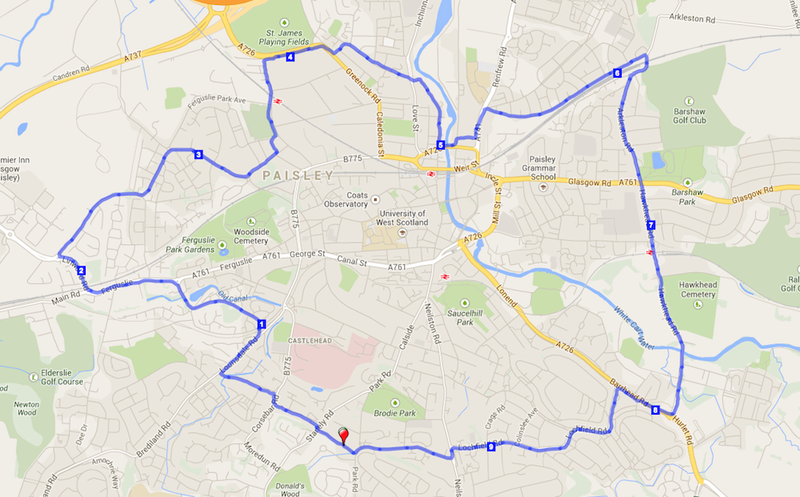 I chose a route that would take me on a loop around Paisley. I spent the whole of the run thinking about the Hardmoors 110 mile race which is 2 weeks today! I like thinking about the route and imagining where I might be and how I might be feeling as I run. The interesting thing is I always have a great run in my head! I looked at my watch a few times during the run to keep an eye on my heart rate. 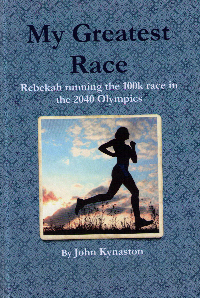 Once I finished I was pleased that I kept my it consistent through the run. So a good solid run. After tomorrow’s run my 2 week taper starts. Basically I’ll be running every other day and making sure I keep my heart rate around 125-130. Do you ever get a spike in your heart rate at the beginning of a run? I tend to find mine spikes as high as 180 for about 5 mins about 3-4 mins after starting before dropping to the “real” level. I do see that sometimes but I’ve always thought it has more to do with the HR strap and watch getting in sync than a real reading of heart rate.